Conferenceseries LLC Ltd cordially invites participants from all over the world to attend 11th World Congress on Chemistry, scheduled during October 10-11, 2019 at Dubrovnik, Croatia mainly focused on the theme “Accelerating Innovations & Fostering Advances in Chemistry and its related fields”. Chemistry Meet 2019 aims to bring together the prominent researchers academic scientists, and research scholars to exchange and share their experiences on all aspects of Chemistry. 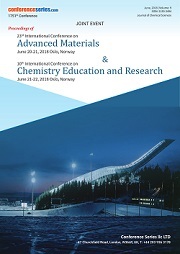 Chemistry Meet 2019 is a unique opportunity to discuss best practices within the laboratory research and those in other related fields of chemistry. There will be many seminars, workshops and technical sessions take place which will catch the attention of the professionals to attend the conference and it would enormously enrich our knowledge in understanding the current innovations and trends in chemistry. 11th World Congress on Chemistry will focus on many interesting scientific sessions and covers all frontier topics in Chemistry which includes Chemistry education, Analytical Chemistry, biochemistry, Clinical Chemistry, Electro chemistry, Green Chemistry, Environmental Chemistry, Forensic Chemistry, Industrial Chemistry, Geochemistry, Medicinal Chemistry, Material Chemistry, Nanotechnology, Organic Chemistry, Inorganic Chemistry, Natural products Chemistry, Food Chemistry, Nuclear Chemistry, Polymer Chemistry, Physical chemistry, Computational Chemistry, Theoritical Chemistry and many more. The conference also includes Keynote presentations by prominent personalities from around the globe in addition to both oral and poster presentations. 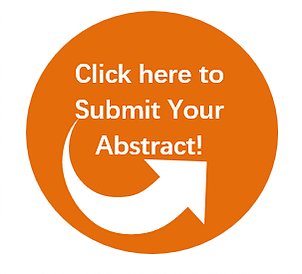 On behalf of Chemistry Meet 2019, Conferenceseries LLC Ltd is glad to invite contributions from the enthusiastic academicians, scientists to organize International Symposiums/Workshops that are both empirical and conceptual in exploring new dimensions of chemistry. Analytical chemistry is a branch of chemistry that deals with the identification, separation, and quantification of any chemical compounds. Analytical chemistry takes a prominent position among all fields of experimental sciences, ranging from fundamental studies to industrial/clinical applications. Analytical chemistry discusses the fundamentals of experimental and analytical methods. Analytical chemistry is often defined as the area of chemistry responsible for describing the composition of matter, both qualitatively and quantitatively. Analytical chemistry has broad applications to forensics, medicine, science and engineering. Bioanalytical chemistry is a part of analytical chemistry which involves the separation, detection, identification and quantification of biological samples. It also involves the study of molecules such as proteins, peptides, DNA and drugs. Bioanalytical chemistry is a bridge between biology and analytical process. Bioanalytical chemistry depends on on the identification and characterization of particles and compounds, particularly those involved with life and health processes. Bioanalytical chemistry is a main discipline in biomedical research and applied to a study of biological processes, detection and diagnosis of human diseases, and preclinical and clinical trials of drugs and biopharmaceutical products in biological systems. Biochemistry is the division of science that discovers the chemical processes within and related to living organisms. Biochemistry is a laboratory based science which brings together both biology and chemistry. Biochemistry is an application of chemistry to study biological processes at both cellular and molecular level. Biochemistry is both of a life science and a chemical science and it explores the chemistry of living organisms and the molecular basis for the changes occurring in living cells. It uses the methods of chemistry, molecular biology, physics and immunology to study the structure and performance of the complex molecules found in biological material and the ways these molecules interact to form cells, tissues and whole organisms. Biochemical processes are attentive, in mechanisms of brain function, cellular multiplication and differentiation, communication within and between cells and organs, and the chemical bases of inheritance and disease. Biochemistry is the study of structure and function of biological molecules such as proteins, nucleic acids, carbohydrates and lipids. Biochemistry is also used to describe techniques to understand the interactions and functions of biological molecules, including traditional techniques such as Western blotting, co-immunoprecipitation, and chromatography methods. Chemistry education refers to the study of teaching and learning of chemistry. Areas in chemistry education might include considerate how to teach chemistry, how students learn chemistry, and how to improve learning outcomes by altering teaching methods and suitable training by chemistry instructors, including classroom lecture and laboratory activities. There are numerous ways to explain and exemplify how chemistry can impact day today life, including cooking, cleaning, healthcare, etc. Chemistry education is swotted as a visual and conceptual metaphor that was created to emphasize the need to situate chemical concepts, symbolic representations, and chemical substances and reactions in important contexts. 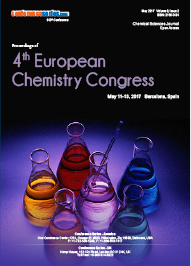 Best practices used in chemistry education research in teaching strategies and design of instructional materials, research on problem solving techniques in chemistry, active learning pedagogies for chemistry education and chemistry education through microscale experiments. Chemistry education is the means of transportation through which chemical knowledge and skill reach the people who are in need of capacities and potentials for development. New technologies tangled in chemistry education are designing of dynamic visualizations to enhance conceptual understanding in chemistry, E-learning and blended learning in chemistry education, Wiki technologies and communities- New methods to assess individual and collaborative learning in chemistry laboratory, smartphone applications for chemistry, teaching chemistry in a virtual and augmented space. Clinical chemistry is a branch of chemistry that is concerned with analysis of bodily fluids for both diagnostic and therapeutic purposes. It is actually an applied form of biochemistry. The discipline originated primarily with the use of simple chemical reaction tests for various components of blood and urine. Clinical chemistry is a diagnostic technique which tests for various components of blood and urine and enables healthcare professionals to overview significance of abnormal values. Typical clinical chemistry tests may include such as blood glucose levels, electrolytes, enzymes, hormones, lipids, other metabolic substances, and proteins. Electrochemistry is a division of chemistry concerned with the relation between electricity and chemical change. Many impulsively occurring chemical reactions liberate electrical energy, and some of these reactions are used in batteries and fuel cells to produce electric power. In the process of electrolysis, electrical energy is converted directly into chemical energy, which is stored in the products of the reaction. This process is generally applied in refining metals, in electroplating, and in producing hydrogen and oxygen from water. The passage of electricity through a gas causes some chemical changes which leads to form a separate branch of electrochemistry. Electrochemistry has a numerous uses particularly in industry. The ideologies of cells are used to make electrical batteries. In science and technology, a battery is a device that stores chemical energy and makes it available in an electrical form. Batteries are made of electrochemical devices such as one or more galvanic cells or fuel cells. Green chemistry is the enterprise of chemical products and processes that reduce or eliminate the generation of hazardous substances. Green chemistry emerged from a variety of prevailing ideas and research efforts such as atom economy and catalysis in the context of increasing attention to problems of chemical pollution and resource depletion. Green Chemistry principles covers the concepts so as the design of processes to maximize the amount of raw material that ends up in the product; the use of renewable material and energy sources; the design of energy efficient processes; the use of safe, environmentally benign substances, including solvents, whenever possible; avoiding the production of waste, which is viewed as the ideal form of waste management. Environmental Chemistry is defined as the study of the reactions, sources, effects, and fates of chemical species in the air, soil, and water environments; and the effect of human activity and biological activity. Environmental chemistry is an interdisciplinary science that includes aquatic, atmospheric and soil chemistry, relying on analytical chemistry and being related to environmental science. Environmental chemistry is the study of chemical processes occurring in the environment which are impacted by mankind's activities. These impacts may be felt on a local scale, through the presence of air pollutants or toxic substances arising from a chemical waste site, or on a global scale, through depletion of stratospheric ozone or global warming. Forensic chemistry includes organic and inorganic analysis, arson investigation, toxicology, and serology. Each method of analysis use specialized techniques and instrumentation. An extensive array of laboratory techniques and instrumentation are used in forensic studies which includes ultraviolet, infrared, and visible spectrophotometry; neutron activation analysis; gas chromatography and mass spectrophotometry; high pressure liquid chromatography; and atomic absorption spectrophotometry. The techniques and instrumentation depends on the type of sample or substance which has to be examined. Forensic chemists analyse non-biological trace evidence found at crime scenes in order to identify unknown materials and match samples to known substances. They also analyze drugs/controlled substances taken from people in order to identify and sometimes quantify these materials. Forensic chemists carefully document their findings and write reports that are used to support criminal investigations. Geochemistry is the science that uses the tools and principles of chemistry to explain the mechanisms behind major geological systems such as the Earth's crust and its oceans. The realm of geochemistry extends beyond the Earth, encompassing the entire Solar System, and has made important contributions to the understanding of a number of processes including mantle convection, the formation of planets and the origins of granite and basalt. Geochemistry is a division of Earth Science that applies chemical principles to deepen an understanding of the Earth system and systems of other planets. Geochemists consider Earth composed of discrete spheres like rocks, fluids, gases and biology that exchange matter and energy over a range of time scales. An increase for rates of reactions and the range of physical conditions responsible for the chemical expressions of each sphere provides the framework to study the co-evolution of the solid Earth, its oceans, atmosphere, biosphere, and climate. Sub-disciplines active in the department include organic geochemistry, biogeochemistry, trace and elemental geochemistry, and igneous-rock and metamorphic geochemistry. Analytical instrumentation includes inductively-coupled plasma and stable-isotope mass spectrometers, fully automated electron microprobe, X-ray diffractometer, laser Raman, SEM, and other facilities. Industrial chemistry is the manufacturing fine art concerned with the transformation of matter into useful materials in useful quantities. Generally this transformation of available materials into more desirable ones encompasses some kind of process. The process may comprise grinding, mixing together various ingredients, dissolving, heating, allowing ingredients to interact (chemically or biochemically react forming new compositions of matter), cooling, evaporating or distilling, growing crystals, filtering, and other physical-chemical-biological operations. Industrial Chemistry is a division of chemistry which relates physical and chemical processes towards the transformation of raw materials into products. Industrial chemistry is the connection between the research and industrial-scale chemical engineering. Industrial chemists make use of their understanding of chemistry and environmental sustainability in areas like pharmaceutical companies, polymer manufacturing, petrochemical processing, food science, and manufacturing industries. Industrial chemistry is a part of designing and manufacturing process. Industrial chemists deal with the design, the testing, and prototyping of new industrial products. Medicinal chemistry usually deals with the design, optimization and development of chemical compounds for use as drugs. It is a multidisciplinary topic which begins with the synthesis of potential drugs followed by studies inspecting their interactions with biological targets to know the medicinal effects of the drug, its metabolism and their side-effects. Medicinal chemistry and pharmaceutical chemistry are disciplines at the juncture of chemistry, especially synthetic organic chemistry, and pharmacology and various other biological specialties, where they are involved with design, chemical synthesis and development for market of pharmaceutical agents, or drugs. Medicinal chemistry in its most common practice is focusing on small organic molecules which encompass synthetic organic chemistry and aspects of natural products and computational chemistry in close amalgamation with chemical biology, enzymology and structural biology, together aim at the discovery and development of novel therapeutic agents. It comprises both synthetic and computational aspects of the study of existing drugs and agents in development in relation to their bioactivities, which means understanding their structure-activity relationships. At the biological interface, medicinal chemistry combines to form a set of highly interdisciplinary sciences, such as biochemistry, molecular biology, pharmacognosy and pharmacology, toxicology and veterinary and human medicine; systematically oversee altering identified chemical agents such that after pharmaceutical formulation, they are safe and efficacious, and hence suitable for treatment of disease. Nanoscience is the study of materials and structures on the scale of nanometers. As nanostructures are so small, specialized methods are needed to manufacture objects in this size range. Scientists use beams of electrons or ions to etch features as small as 25 nanometers into metal, silicon and carbon-based materials. In addition to being formed on these solid material surfaces, nanostructures can also be formed in liquids. Nanostructures can be created by reacting chemicals in liquids and gases to generate nanofibers, nanocrystals and quantum dots, some as small as one nanometer wide. Nanoscience has already impacted our lives with innovations such as stain-resistant fabrics inspired by nanoscale features found on lotus plants and computer hard drives, which store information on magnetic strips that are just 20 nanometers thick. Materials chemistry involves the use of chemistry for the design and synthesis of materials with interesting or potentially useful physical characteristics, such as magnetic, optical, structural or catalytic properties. It also involves the characterization, processing and molecular-level understanding of these substances. Solid state chemistry is concerned with the synthesis, structure, properties and application of solids including inorganic and organic materials and their composites. At the interface of chemistry, solid state physics, materials science, ceramics, mineralogy and metallurgy. The interdisciplinary field of materials science, also commonly termed materials science and engineering is the design and discovery of new materials, particularly solids. The intellectual origins of materials science stem from the Enlightenment, when researchers began to use analytical thinking from chemistry, physics, and engineering to understand ancient, phenomenological observations in metallurgy and mineralogy. Materials science still incorporates elements of physics, chemistry, and engineering. As such, the field was long considered by academic institutions as a sub-field of these related fields. Materials scientists emphasize understanding how the history of a material (its processing) influences its structure, and thus the material's properties and performance. The understanding of processing-structure-properties relationships is called the § materials paradigm. This paradigm is used to advance understanding in a variety of research areas, including nanotechnology, biomaterials, and metallurgy. Natural products are chemical organic substances which are produced by the living organisms found in the nature that are formed by the pathways of primary and secondary metabolism. Natural products have pharmacological therapeutic activity that can be useful in treating different kinds of diseases. The constituents in natural products may act as active components not only for traditional medicine but also for modern medicines. These natural products often used as preliminary ideas for drug discovery in the chemical synthesis from which synthetic analogs can be prepared with improved efficacy, potency, safety and purity. Natural products can be divided into two major classes’ primary and secondary metabolites. Primary metabolites is essential for the survival of the organism which mainly involves in energy production includes both respiratory and photosynthetic enzymes and secondary metabolites that mainly effects the other organisms but helps to increase the effectiveness of the living organism in its environment. Natural products chemistry is a distinctive area of chemical research that plays an important role in the chemistry in the pre-clinical and clinical studies for drug discovery research. It is related with the isolation and purification of the chemical products and developed by various methods in determination of chemical structure by NMR studies and identification of the pharmacological areas of the chemical product. Natural products motivate and help in the improvement of new variants by using old and new chemical reaction. Food chemistry as an important branch of food science which deals with the composition and properties of foods and the types of chemical changes they undergo. Food chemistry is related to chemistry, biochemistry, physiological chemistry, zoology, botany and molecular biology. Food chemistry is the study of chemical procedures and interfaces of all biological and non-biological components of foods. The biological substances include such items as meat, poultry, lettuce, beer, and milk etc. as examples. It is similar to biochemistry in its main constituents such as carbohydrates, lipids, and protein, but it also includes such as water, vitamins, minerals, enzymes, food additives, flavors, and colors. Food chemists are related to nutrition in one or the other way. Food chemists play an important role in development new food products and improving the quality of the existing ones. Food chemists also play a key role in ensuring that food produced is safe and of great quality. Food chemists ensure that food preparation, processing, and storage is prepared properly by following good manufacturing practices. Food chemists in combination with toxicologists are also studying the occurrence and entry into food of naturally occurring and synthetic toxicants. Food chemists also play and important role is in development of food standards which promotes world trade and protects the consumer against being deceived on the quality or the nutritive value of food. Food chemists work with nutritionists to develop standards for the optimal nutritional content of the diet and that cater for changes in nutrient composition during processing. Organic chemistry is about the study of the structure, composition, properties, reactions, and preparation of carbon-containing compounds, which include not only hydrocarbons but also compounds with other elements, includes hydrogen, nitrogen, oxygen, halogens, phosphorus, silicon, and sulfur. 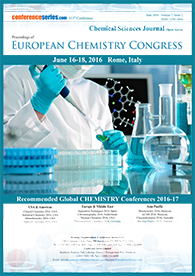 Recent trends in organic chemistry are chiral synthesis, green chemistry, microwave chemistry and fullerene chemistry. The kind of applications of organic compounds is huge and also includes, but not limited to, pharmaceuticals, petrochemicals, food, explosives, paints, and cosmetics. Organic Compounds have been classified as functional groups, aliphatic compounds, aromatic compounds, heterocyclic compounds, polymers, biomolecules, small molecules, fullerenes etc. Organic compounds form the basis of or constituents of many products including pharmaceuticals; petrochemicals and agrichemicals, and products made from them including lubricants, solvents; plastics; fuels and explosives. Organic chemistry overlaps not only with organometallic chemistry and biochemistry, but also with medicinal chemistry, polymer chemistry, and materials science. Inorganic chemistry is nothing but study of the synthesis, reactions, structures and properties of compounds of the elements. Inorganic chemistry includes the compounds both molecular and extended solids in the periodic table, and overlaps with organic chemistry in the area of organometallic chemistry, in which metals are bonded to carbon-containing ligands and molecules. Inorganic chemistry is fundamental to many practical technologies including catalysis and materials, energy conversion and storage, and electronics. Inorganic compounds are also found in biological systems which are essential to life processes. Inorganic chemistry find its applications in every aspect of the chemical industry, including catalysis, materials science, pigments, surfactants, coatings, medications, fuels, and agriculture. Petrochemicals are chemical derivatives of petroleum and are divided into two classes namely olefins and aromatics. Olefins are produced from oil refineries whereas aromatics are developed from fluid catalytic cracking. Petrochemistry is a division of chemistry that is concerned with natural gas and petroleum and its study can be applied to variant human needs including medicines, health, hygiene and various food products. Chemicals that are derived from natural gas and petroleum are referred to as Petrochemicals. The Petrochemical industry relies on the derived chemicals as oil is the major component of the chemical industry. Ethane, propane, butane and other hydrocarbon fuels are an essential part in the feedstock. Petrochemicals go through various processes that ultimately contribute to the final output of products like soaps, plastics and detergents, healthcare products like aspirin, synthetic fibres for clothes and furniture, rubbers, paints, insulating materials etc. Physical chemistry is the division of chemistry related with the interpretation of the chemistry phenomena in rapports of the underlying principles of physics. Physical chemistry also has an vital role to play in the understanding of the complex processes and molecules characteristic of biological systems and modern materials. Physical chemistry offers many branches within the field that have their own unique purposes which includes electrochemistry, photochemistry, thermochemistry, spectroscopy and chemical kinetics. Physical chemistry is important for understanding the other branches of chemistry. It provides a basis for understanding the thermodynamic that drive chemical reactions onward. Physical chemistry provides justifications for the schemes proposed in organic chemistry to calculate and account for the reactions of organic compounds. It accounts for the structures and properties of transition metal complexes, organometallic compounds, the microporous materials known as zeolites that are essential for catalysis, and biological macromolecules, such as proteins and nucleic acids. We can say that there is no branch of chemistry that can be fully understood without interpretations related to physical chemistry. Theoretical chemistry is a sub-division of physical chemistry in which quantum mechanics and statistical mechanics are used to calculate properties of molecules and bulk systems. Theoretical chemistry unites the principles and its concepts which are common to all branches of chemistry. Within the context of theoretical chemistry, there is a systematization of chemical laws, principles and rules, their refinement and detailing. It uses mathematical and physical methods to explain the structures and dynamics of chemical systems and to correlate, understand, and predict their thermodynamic and kinetic properties. Modern theoretical chemistry is divided into the study of chemical structure and the study of chemical dynamics. Polymer chemistry is a branch of chemistry that emphases on the chemical synthesis, structure, chemical and physical properties of polymers and macromolecules. The principles and methods used for polymer chemistry are common to chemistry disciplines of organic chemistry, analytical chemistry, and physical chemistry. Polymers are high molecular mass compounds which are formed by polymerization of monomers. A polymer can be described in many ways such as its degree of polymerisation, molar mass distribution, tacticity, copolymer distribution, the degree of branching, by its end-groups, crosslinks, crystallinity and thermal properties such as its glass transition temperature and melting temperature. Many materials have polymeric structures, from fully inorganic metals and ceramics to DNA and other biological molecules; however, polymer chemistry is typically referred to in the context of synthetic, organic compositions. Synthetic polymers are ubiquitous in commercial materials and products in everyday use, commonly referred to as plastics, rubbers, and composites. Polymer chemistry can also be included in the broader fields of polymer science or nanotechnology, both of which can be described as encompassing polymer physics and polymer engineering. A polymer is basically a large molecule or a macromolecule formed by joining many repeated subunits. They may be naturally found in plants and animals (known as natural polymers) or may be man-made (called the synthetic polymers). Different polymers have a number of unique physical and chemical properties due to which they find usage in everyday life.